On Monday 28 May, Boconnoc - near Lostwithiel, will host the next Wild Wine Club. Join us for an evening of gastronomic adventures in unexpected locations. The event, which coincides with English Wine Week, will showcase five brilliant wines with a particular focus on South West producers. In keeping with the local theme Wild Wine Club will be serving a five-course feast championing produce from Devon and Cornwall designed around the five wines. The evening will take place in the beautiful grounds of the estate and dining settings will include the 18th Century Georgian sunken Bath House, the Stewardry walk and the rustic Stable Yard. All completely unique locations which are sure to be magical settings over this long May bank holiday weekend. For £65 per person, guests will enjoy five glasses of hand-selected wines by us and five courses of local food prepared by the Wild Wine Club chef. The evening begins at 6pm and usually will continue until around 10pm for those wanting to book taxis home. 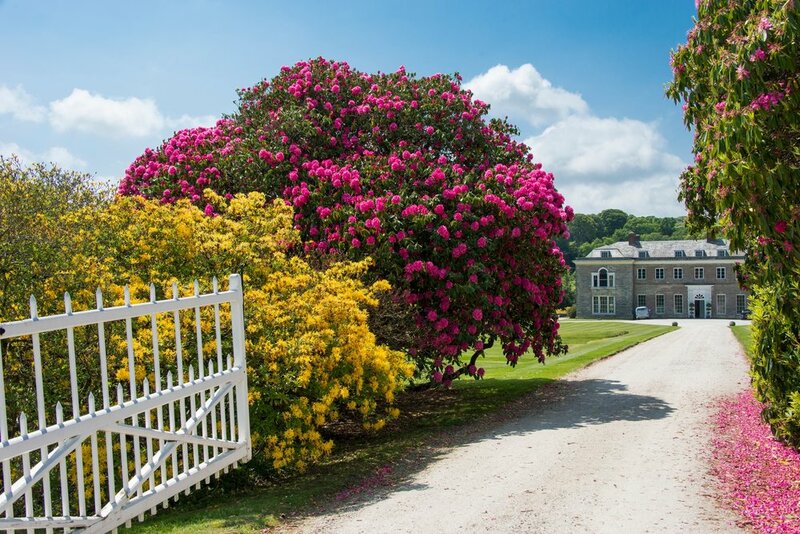 Boconnoc Estate represents the heights of Cornish luxury. With its Georgian architecture, picture-perfect countryside, it captures all the enchantment and beauty of Cornwall. Click through the photos below for a taste of what this stunning venue has to offer. This is how wine should be enjoyed - alongside gastronomic delights, in beautiful, and sometimes unexpected, locations. After months of gazing enviously (our stomachs and palates buzzing) at footage of amazing events organised by Debbie Warner (founder, sommelier and creative genius behind the WWC), we could not be more excited to be joining forces for an English Wine theme. Scroll through the photos below for a taste of their previous event at Kudhva. All photos shot by Lewis Harrison-Pinder.